A few tomatoes picked this morning. They are good quality but no exactly prolific. There are many large green ones. 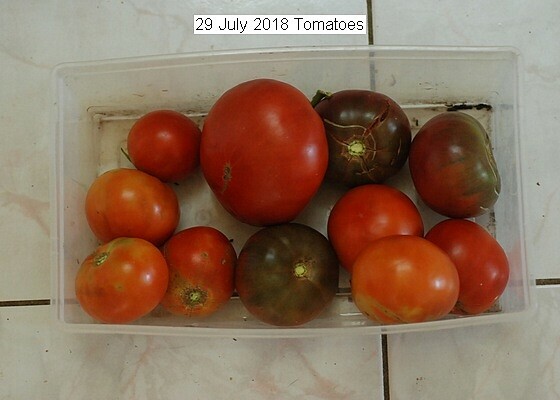 This entry was posted in Uncategorized and tagged 29 July 2018 Tomatoes, Tomatoes. Bookmark the permalink.